For kids aged 5 – 12yrs old. Our music camps often SELL OUT so be sure to get in early and secure your place at our next School Holiday Music Camp. With more new workshops, experiences and music to learn, it’s no wonder the students keep coming back. The kids will have the opportunity to write their own song and perform it. 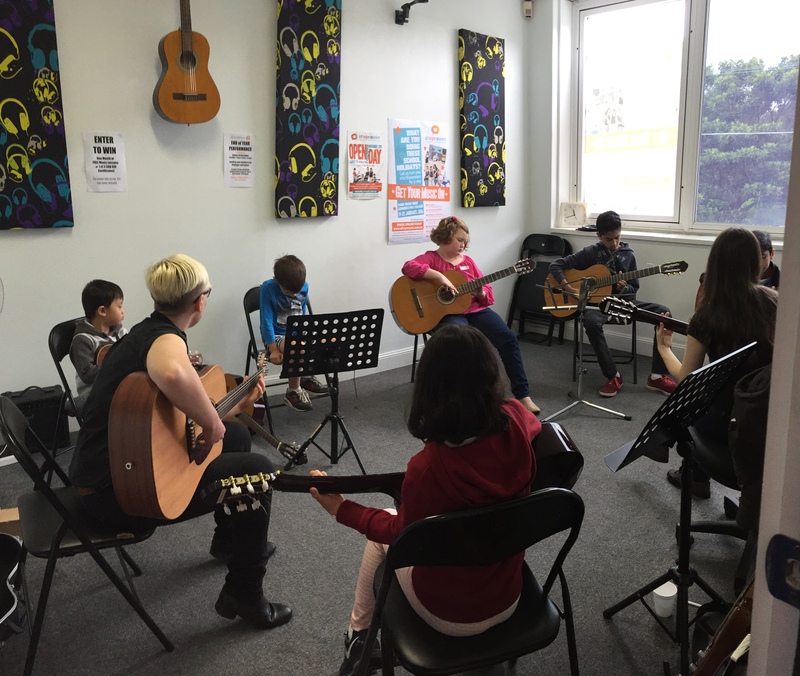 There’s no experience needed with learning an instrument as we always find something for the kids to play, but if you already play or learn an instrument, then you’re most welcome to play it. Space is always limited to ensure maximum FUN and ATTENTION for each individual student. The program takes place each school holiday and runs for three (3) days with kids aged 8 – 12yrs, and two (2) days for kids aged 5 – 7yrs. All teachers have WWC clearance. Many parents choose to enrol both siblings as there are some activities done together, but also many that aren’t. 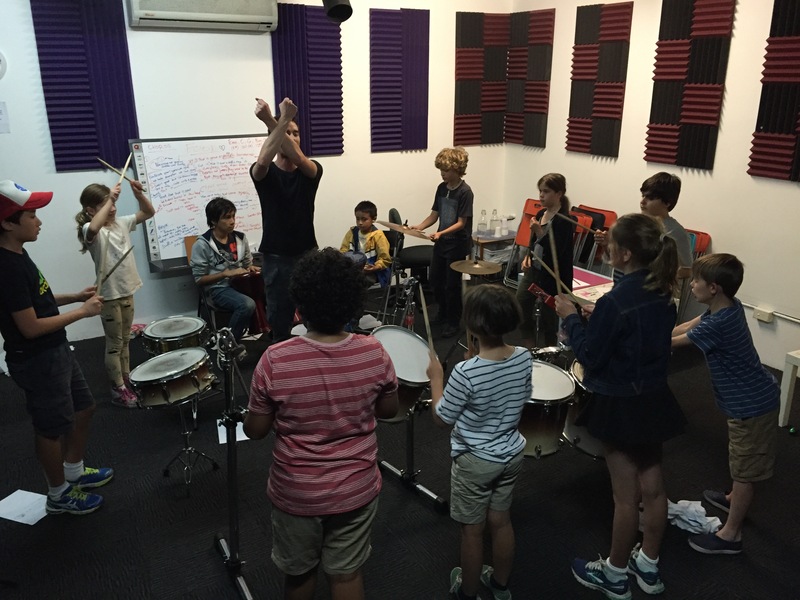 Our school holiday music camp will see your child become a superstar artist. 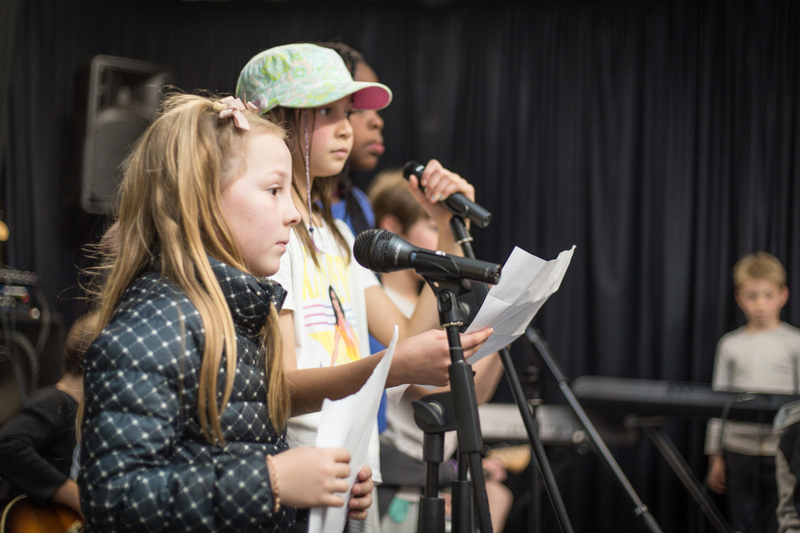 They’ll transform themselves into being ‘pros’ by attending our workshops and instrumental discovery sessions. They’ll work with fellow co-songwriters to produce, write and perform their very own original song and develop new friendships and experiences that is unlike any other program. Along the way there’s instrumental bingo, ping pong soccer, trivia, name that instrument, special guest workshops, masterclasses and many other amazing musical activities and games that’s as fun as it is educational! You’ll have LOTS OF FUN while making new friends and enhancing your musical skills and knowledge! If you play a musical instrument, you’ll have the opportunity to bring your instruments and jam with other kids of similar levels (this component is optional). The teachers involved are all professional music instructors who have completed a ‘Working with Children Check’. Program participant numbers are capped to ensure your child’s safety and to ensure your child gets the most out of their school holiday activities. If a child is disruptive, refuses to heed instructions, they may be removed from the program and all fees will be forfeited. However, teachers will initially discuss this with the parent beforehand. Kids will need to bring their own lunches over the duration of the program, and we’ll be providing some light refreshments and water/juice for afternoon tea. If you can’t attend this particular program, don’t be disappointed. We’ll be running ‘Get Your Music On’ during every school holiday with slight variations to some of the workshops that will be run. We’ll also list the special workshops that you can join for part of the day if you can’t attend the entire school holiday program. * Please note minimum numbers are required for this program to run. If not enough numbers are met, full refunds will be given. At this stage, we have met minimum numbers for the program and will definitely be going ahead for kids aged 8 – 12yrs old.